Anyone who has ever worn polarized sunglasses near water knows that eventually–no matter how hard you try–those shades are going to get dirty. Two types of liquids are usually the culprit: water (from the stream) or oil (from sweat, or sunscreen, or bug dope, etc.) While the cotton t-shirt is hard to beat in a pinch, rubbing $250 sunglasses–or $1500 camera lenses–with gritty, dirty cotton is not always the best idea. For any kind of oil-based residue, 3M’s Microfiber Cleaning Cloths (available in gas stations, Wal-Marts, and yes, fly shops, nationwide) are my go-to ticket. 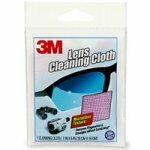 The 3M cloth will pull (almost) any kind of residue off the surface of a high-end coated camera or sunglass lens with just a swipe, minimizing the risk that you might grind a grain of sand or piece of gritty lint onto the lens. At about $3 apiece, you can hardly go wrong here. Unfortunately, the 3M cloths have a big weakness: they are terrible at wiping off ordinary water. 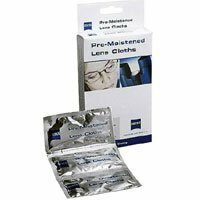 For the shades that have been dunked or are just plain nasty, I’ll turn to the disposable Zeiss Optics alcohol cleaning cloths, again available almost anywhere. Distributed (like condoms) in single packs that are punched together, these little guys are also perfect for an end-of-day camera lens or sunglass bath. Do you wipe your $250 shades with an oily shop rag and call it done? Let us know in the Comments section!